The archive of the National Abortion Campaign has recently been catalogued and is now available to researchers at the Wellcome Library. The National Abortion Campaign (NAC) was formed in 1975 and the group defended the Abortion Act 1967 against several proposed amendment bills during the 1970s and 1980s. The collection covers a wide range of campaign material (SA/NAC/B), conferences (SA/NAC/C), publications (SA/NAC/D) and a variety of correspondence (SA/NAC/F) which includes a letter written by Dame Helen Mirren (SA/NAC/F/3/3). The group initially started when the Working Women’s Charter called a demonstration against the James White Abortion Amendment Bill in February 1975. This Bill wanted to restrict the reasons why a woman could get an abortion and change which doctors could perform one. The demonstration was a success and the campaign was set up officially the following month. By June 1975 NAC was able to organise a large demonstration which was attended by 20,000 people, the biggest rally since the women’s suffrage campaign (see SA/NAC/B/1). The James White Bill was never passed and NAC campaigned against another two more Abortion Amendment Bills by MPs in the 1970s; one in 1977 by William Benyon (SA/NAC/B/2) and the other in 1979 by John Corrie (SA/NAC/B/3). Large demonstrations and events were organised against them by NAC, locally and on a larger national scale. The group had support from several branches of Trade Unions, and from several MPS; including Jo Richardson (1923-1994) who spoke at several conferences and demonstrations. During the 1980s NAC fought several campaigns and tried to launch more positive abortion legislation. In 1981 Jo Richardson introduced a Facilities Bill to hopefully improve NHS abortion facilities, however the Bill did not receive enough votes for a second reading (see SA/NAC/B/8/2). In 1983 at the National Conference the group split into two: one continued as NAC and the other formed as the Women’s Reproductive Rights Campaign. 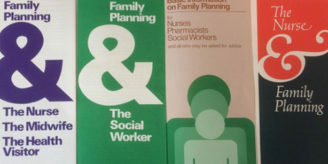 Eighteen months later NAC started the Reverse Gillick campaign, this was against the High Court ruling (instigated by mother of ten, Victoria Gillick in 1983) that children under 16 could not be prescribed or talk to doctors about contraceptives without their parents knowledge. The House of Lords overruled this in 1985, as long as doctors followed certain guidelines when discussing contraceptives with young people, see SA/NAC/B/4. Another Abortion Amendment Bill was introduced in the late 1980s by the MP David Alton, and this focused on changing the time limit (SA/NAC/B/6). This Bill got a large amount of support and several adverts were printed in national newspapers by the Society for the Protection of Unborn Children (SPUC) (see (SA/NAC/E for more information on related organisations) asking MPs to vote yes. NAC again held several large demonstrations and eventually the Bill failed. NAC also campaigned against the Human Fertilisation and Embryology Bill in 1990. This was passed and it mainly concerned the regulation of fertility treatments, but the Abortion Act was also effected: the time limits were reduced from 28 to 24 weeks. 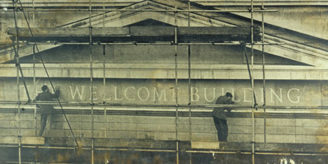 In 2003 NAC merged with the Abortion Law Reform Association (ALRA), whose archives are also in the Wellcome Library, to form Abortion Rights, more information can be found on their website The National Abortion Campaign collection is part of the Wellcome Library’s Archives and Manuscripts collection. The catalogue can be searched on our online catalogue using the reference: SA/NAC. For further information about our holdings on birth control and abortion see the relevant online sources guide. NAC did not simply have support from “several trade union branches”. The November 1979 demonstration against the Corrie Bill was jointly organised with the TUC. We had a joint stewards’ meeting for the demo at TUC headquarters, Congress House in Great Russell Streeet. Many branches, TRades’ Councils, national unions, Labour Party Women’s Conference, TUC women’s conference supported NAC and its demands.